Rectors / Principals / Vice Chancellors, Technical Institutions / Universities, Offering Certificate and Diploma Programmes. Reference is made to the above heading. This is to kindly inform you that the Council has received inquiries and requests from Technical Institutions / Universities regarding March / April, 2018 Intake. The Council has also noted that some Technical Institutions / Universities are advertising to invite the applications for March/ April, 2018 Intake. Kindly note that, the last March / April, 2017 Intake had few applications and thus resulted in very few selected applicants. Thus, most of the Technical Institutions/Universities which got selected applicants failed to run the programmes due to few selected applicants and this resulted to disturbances to selected applicants, and the public at large. This, among others, indicates that the March/April intake is not viable. Thus, the Council directs that there should be only one admission cycle in each academic year, which starts from July to September in every academic year; and therefore, there shall be no March/ April, 2018 Intake for the Academic Year 2017/2018. Kindly abide by the approved Joint Admission Almanac for Higher and Technical Education. Looking forward to your continued cooperation. 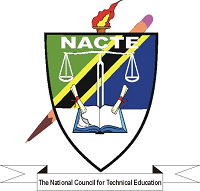 This scope of NACTE covers all tertiary education and training institutions other than universities and their affiliated colleges, delivering courses at technician, semiprofessional and professional levels leading to awards of certificates, diplomas degrees and other related awards.